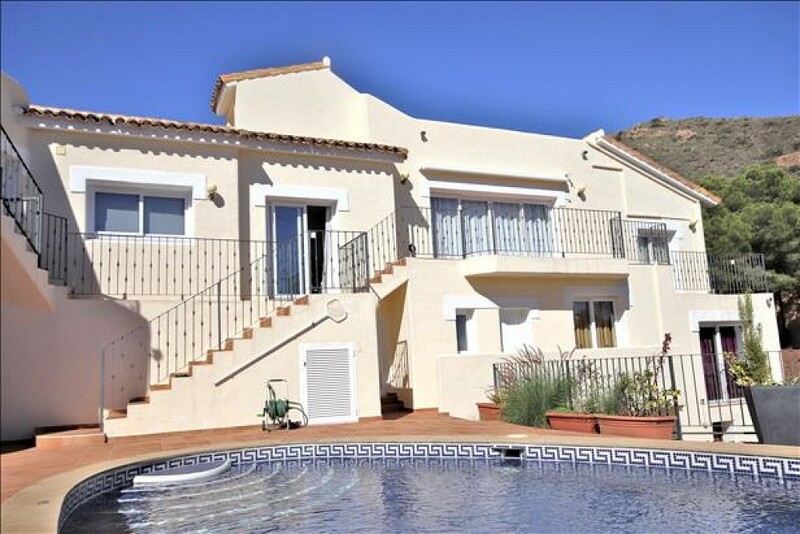 This fabulous detached villa has been reburbished to an extremely high standard. The accommodation provides five double bedrooms and five bathrooms, all beautifully presented. The large kitchen has been refitted to a high specification with all new white goods. The private heated swimming pool is located directly south giving all day sunshine throughout the year and the views extend to the mountains beyond the Golf Courses. In addition there is a self contained apartment or ’Granny Flat’ with open plan Kitchen and living area and separate double bedroom and bathroom. The private entrance is accessed via an individual driveway with parking for several cars.